As we’ve got only a day left before the Samsung Galaxy Note 9 is official, leaks for Google’s upcoming Pixel 3 lineup have started to increase in pace. Google’s expected to launch upgrades to the relatively young smartphone lineup, which has so far managed to set itself apart with superior rear camera performance. Additionally, while Samsung’s Galaxy Note 9 perhaps takes the crown for the most amount of details leaked, it’s never leaked completely. 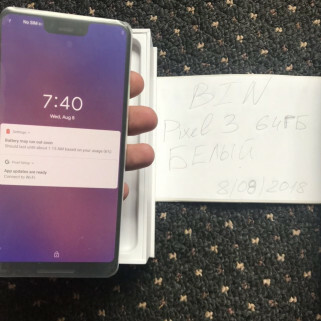 This can not be said for the Pixel 3 XL, as we’ve got a major leak for you today. Take a look below for more details. Some of the first leaks for the Pixel 3 lineup provided details for a feature that got a lot of eyes rolling. Alleged front panels for the pair displayed a front notch for the larger pixel. Smartphone display panels have now become sufficiently advanced to remove the need of bezels but unless the industry also manages to somehow blend the front camera setup into these displays as well, notches are here to stay. 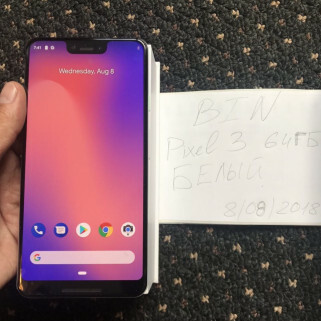 With that in mind, when we compare display notch that’s present on leaked Pixel 3 XL images and components and compare it with the cutouts on other flagships, the company really appears to have thrown caution to the wind for design. The Pixel 3 XL’s display notch is more ‘deeper’ than wider, allowing it to penetrate more inside the device displays. 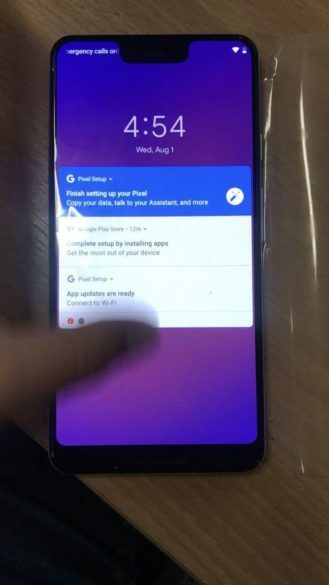 Simply put, rather than appear as a cutout, the Pixel 3 XL’s notch appears to ‘wrap’ around its front bezels instead. Well folks, we just might have the mother of all leaks on our hands today. 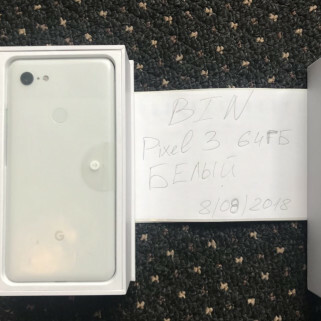 By the looks of things, Google’s pretty far ahead in the Pixel 3 and Pixel 3 XL‘s production cycle. Why? 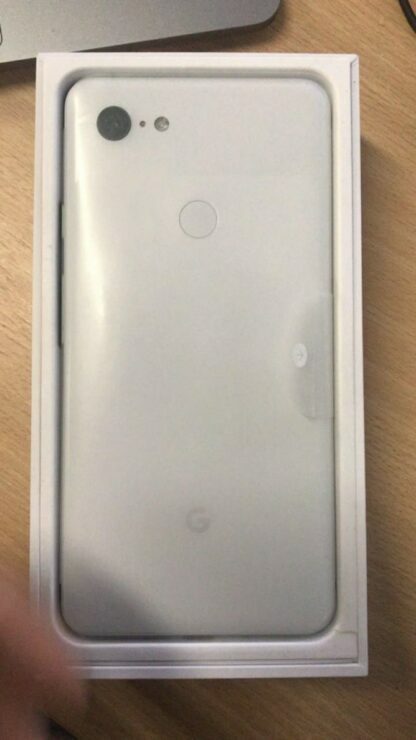 Because the company has sent out review units of the Pixel 3 XL and one of these has leaked in its entirety. Surfacing on Telegram and courtesy of Канал Лучкова, they display nearly every detail for the Pixel 3 XL save for a specification list. The smartphone does not make a good aesthetic choice for its front notch, features a single rear camera on it back, and a two-tone design that is also found on its predecessor. 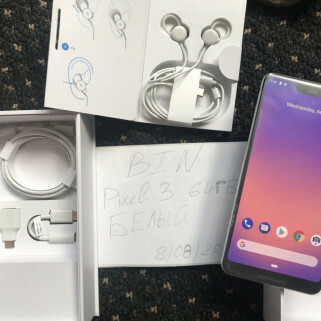 Inside the Pixel 3 XL’s box, you get earphones, which are a nice addition. 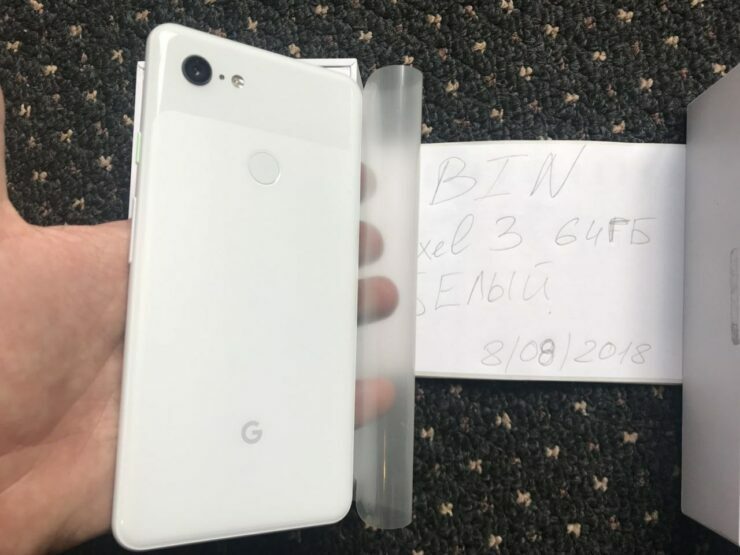 The device also looks as if it belongs to a Google employee for testing and a specification image that is included in the gallery above also shows that the Pixel 3 XL features 4GB of RAM. 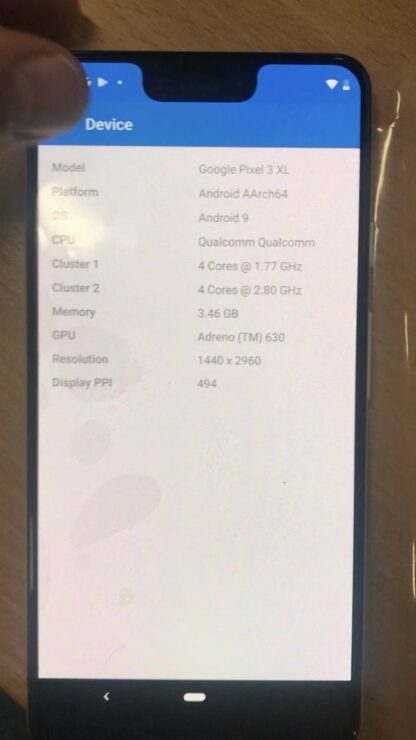 Finally, the source of this information believes that this is a pre-production device, but that does not mean Google will make any major changes on it.